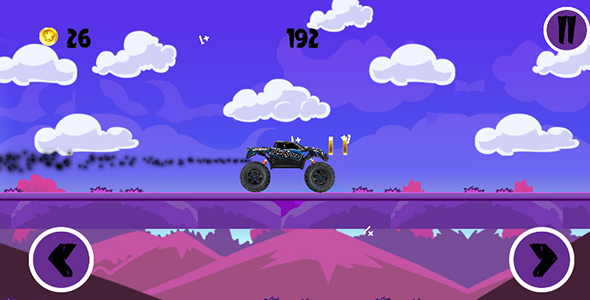 Endless monster truck race made with buildbox. 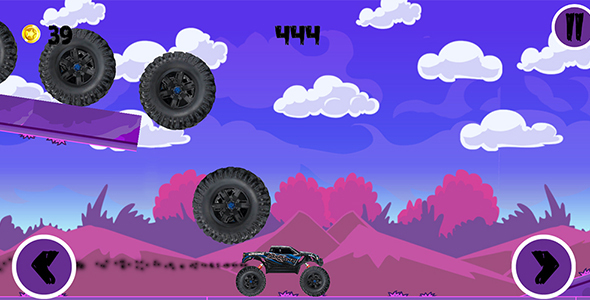 Monster Truck Race 4×4 is a great endless racing game. 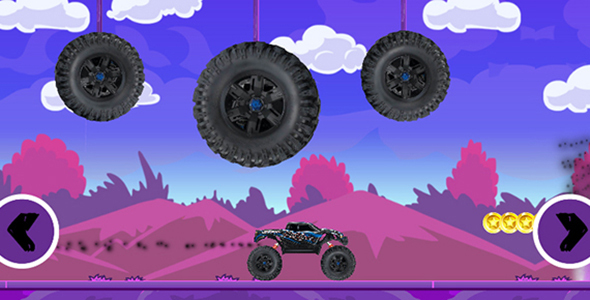 Endless fun, easy to play will draw you into the game. 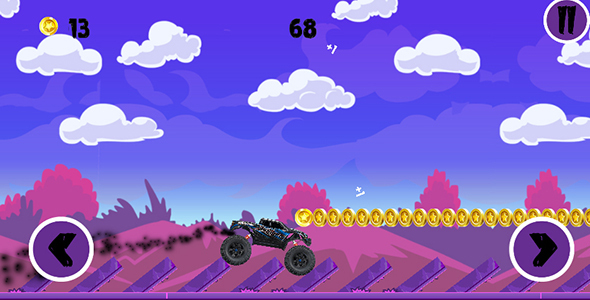 You can earn distance points by collecting coins and progressing.